Liberfit do it for you ! For you, for the coaches, for the customers! 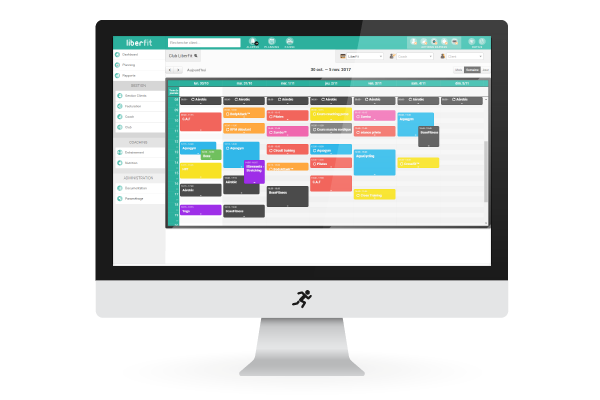 Thanks to Liberfit, each user (coach, customer) and location (room, club) has its own schedule, automatically filled with every event Scheduling won’t ever be a puzzle for you, wether you are a freelance coach or the owner of a fitness network ! 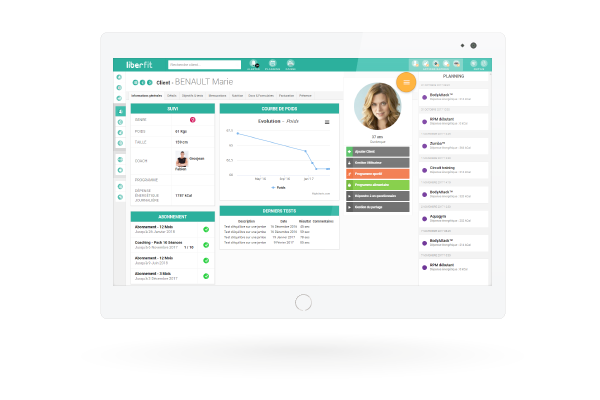 We make your life easier : offer everyone a personalized nutrition & training plan with our creative tools ! 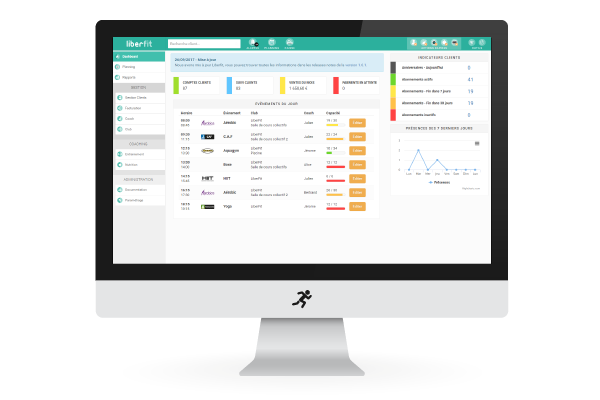 With automatic and manual attendance tracking features and the ability to integrate different levels of access control, Liberfit fits perfectly in your club operation. 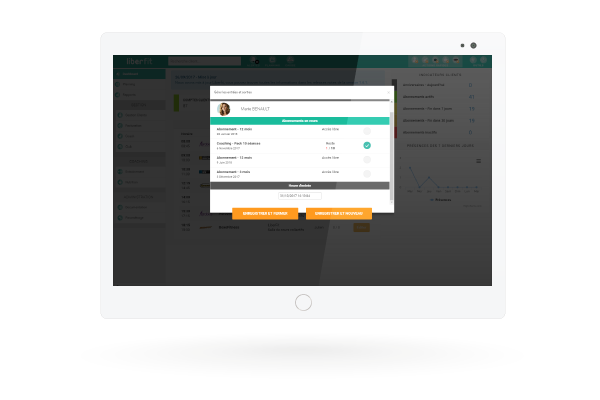 With more than 100 features and a large data library, Liberfit will gain you more free you time, thanks to a more efficient management and coaching. The software can be used as easily on PC, tablet or smartphone, thanks to an UX-oriented design. 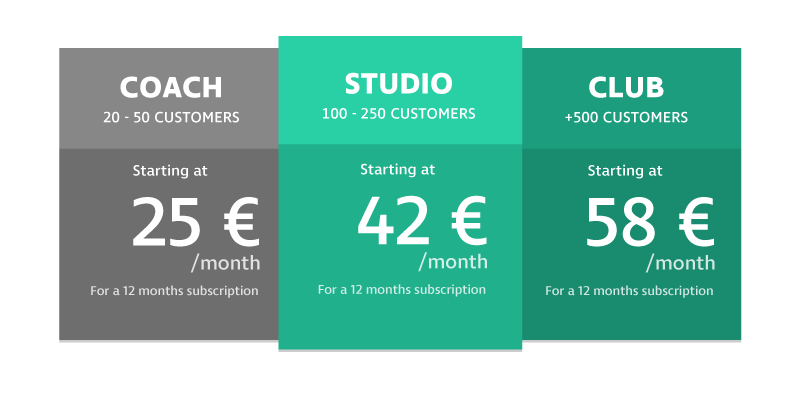 Track performance of a person, group, or your entire business in the short, medium, and long term. Whether you are a demanding coach fine-tuning each sessions or a self-service club wishing to provide a simple solution to the greatest number! 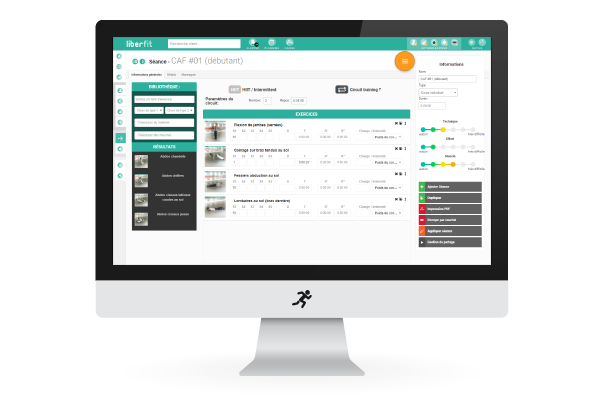 A powerful and functional interface for your management, and an efficient and user-friendly one for your members. YOUR OWN SOCIAL NETWORK ! With public and private discussion features and event management, turn your online space into a connected community!